It was on a beach in Eastbourne that I first encountered Henry Kuttner. Not personally – that would have been scary as the American author had been dead for a number of years by then – instead our first meeting was a quiet one that saved me from the dire predicament of being a teenage boy on holiday with his parents. Driven out of my mind by the boredom of two weeks in the seaside town that doubles as retirement central of England, I sought solace – as was often the case – in books. While searching for something new I found him on an old wire carousel outside an ice-cream shop. 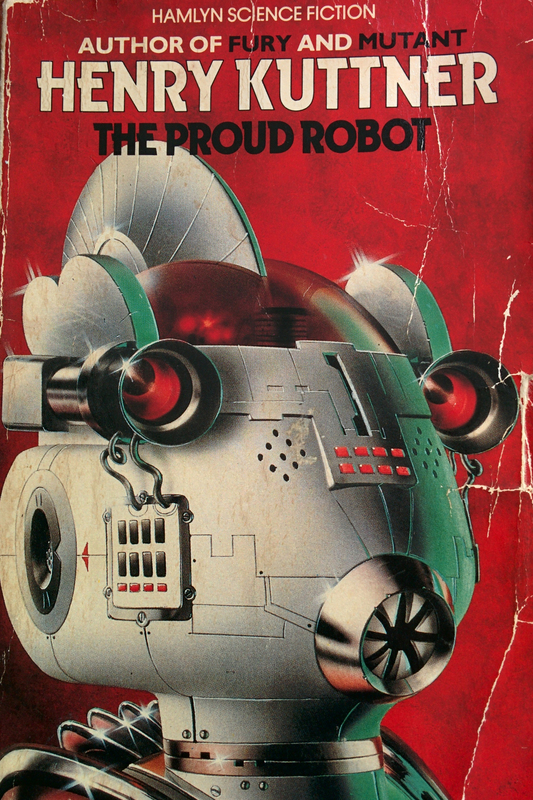 The curious looking book bore the legend ‘The Proud Robot by Henry Kuttner – author of Fury and Mutant’. Well what could I lose? Furious, mutated robots….fantastic! Rather than some dark tale of android revenge though, I found an inventor called Galloway Gallegher who was a genius, but only when drunk out of his mind. The story began with him waking up after a real bender only to find a robot preening itself by his mirror and complaining that the cat was walking too loudly. Galloway then spends the rest of the story working out why he invented the diva-like mechanoid, as he was far too inebriated to remember. From the first line “Things often happened to Gallegher, who played at science by ear.” I was hooked. Kuttner’s writing was elegant, visual, and most of all funny – very funny. Nearly thirty years later the book sits next to me as I write, battered from repeated reading and a sad reminder of a great author who is now all but forgotten. 2015 will mark the 100th anniversary of Henry Kuttner’s birth, and for many of those years a large majority of his work has been out of print. There was a brief spell when the children’s film ‘The Last Mimzy’ (based on his story ‘Mimsy Were the Borogoves’) was popular, but apart from that Kuttner has faded from memory and slipped quietly into legend. Even the internet, in all its Google fuelled glory, has scant information on his writing or the man himself. So who was he, and why is he still relevant today? 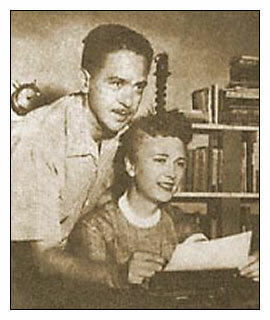 Born in Los Angeles on April 7th 1915, Kuttner grew up to become a prolific author of short stories and novels. His first published work of fiction was called ‘The Graveyard Rats’ and appeared in Weird Tales magazine in 1936. In the following years he would contribute regularly to the publication, with stories covering sword & sorcery, horror and science fiction. He used several pen-names, which was not uncommon at the time, and after his marriage to C.L.Moore (herself an author) they began writing together. The pseudonyms that the two adopted, usually indicating only one writer, was a neat way to ensure that C.L.Moore received the same word-rate as her husband – women being generally paid less at the time. L Sprague De Camp, a good friend of the Kuttner’s, said that it was not unusual for the two to finish a story and not remember who wrote what – such was the closeness of their writing partnership. Kuttner, friends with H.P.Lovecraft, also contributed to the Cthulhu mythos with stories such as ‘The Eater of Souls’, ‘The Invaders’, and ‘The Salem Horror’, alongside creating the deities Iod, Vorvadoss and Nygogtha. 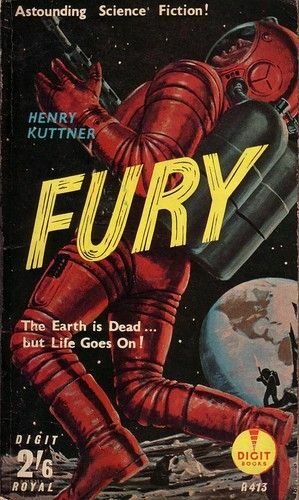 He produced several novels, the most famous being ‘Fury’ in which the remaining survivors of the human race lives under the seas of Venus, ruled over by genetically mutated people who appear to live forever. Under one of his more prevalent pen-names ‘Lewis Padgett’ Kuttner also wrote an iconic episode of The Twilight Zone – ‘What You Need’. In this typically inventive story an aggressive loser stumbles upon an old man who has a knack of providing people the very thing they need to make their lives better – be it a bus ticket back to the big time, or a dripping fountain pen that can predict horse races. The sad tale unfolds with an odd menace and, as is common in the Twilight Zone, the ending is one that sticks in the memory. 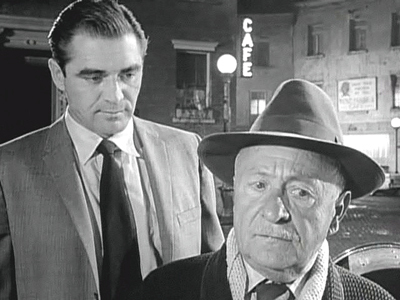 ‘What You Need’ Twilight Zone episode. In keeping with the brevity of the majority of his own creations, in 1958, at the age of 43, Kuttner died suddenly from a heart attack. His legacy was not a string of bestsellers, or a collection of glittering awards, but rather the inspiration he gave writers that followed after him. Marion Zimmer Bradley claimed ‘I consider the work of Henry Kuttner to be the finest science fantasy ever written’, dedicating her novel ‘The Bloody Sun’ to him. Richard Matheson did likewise with ‘I am Legend’, thanking Kuttner for ‘his help and encouragement on this book’. Other notable fans include Ray Bradbury and Roger Zelazny. I find it deeply saddening that this great literary talent may be lost to us within my lifetime. His writing had such wonderful playfulness and comedy, matched by the ferocious imagination that he and Moore brought to the table. His influence is hard to measure, but certainly looking at the calibre of writers mentioned above who saw him as a mentor, we can be pretty sure that it is significant. Reading his work now still feels fresh and modern, with hardly a sense that it came from an era before computers, the internet, or even man landing on the moon. Ideas leap from the page, a deft quip is never too far away, and there is a genuine sense of wonder mixed with the darker side of humanity running through his creations. 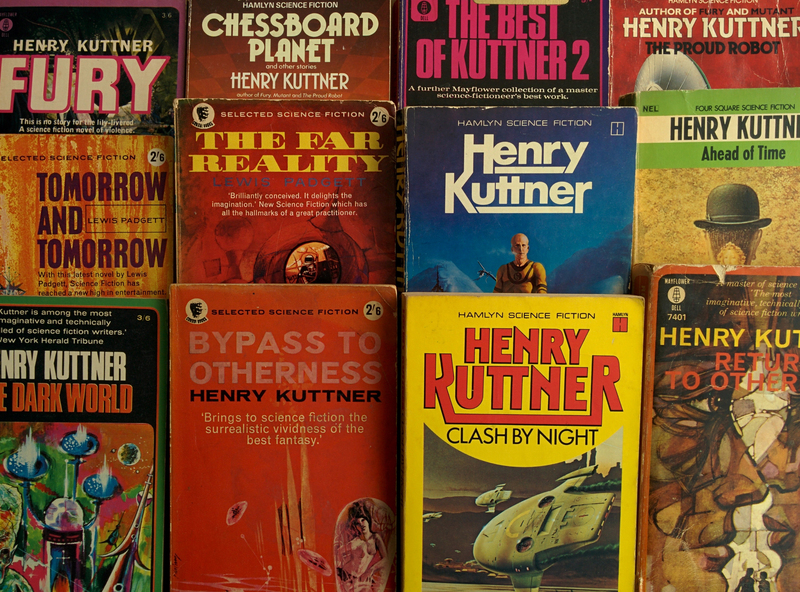 It’s hard to find much evidence of Kuttner in bookshops these days – well, it’s increasingly hard to find bookshops these days – but maybe the internet will be able to keep his tales around a little longer. 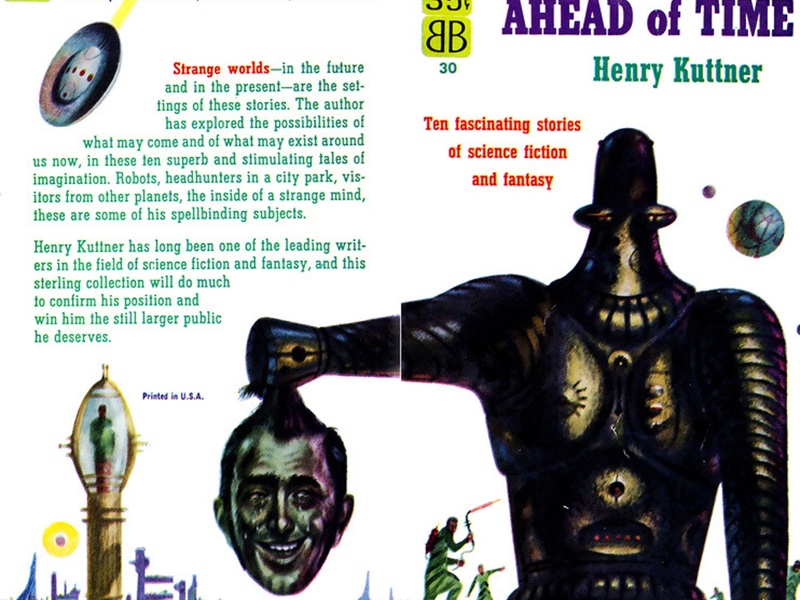 In 2013 a Kickstarter campaign successfully printed a collection of ten short stories by Kuttner, and as this was a fully funded project it shows that there is still an audience for one of science fictions great forgotten masters. If you’ve never experienced Kuttner, then do a bit of shopping around on eBay or Amazon to find his books while they still exist. They’re cheap, easy to read, and remain a link to a style of writing that isn’t too often found in the modern age. Henry might be long gone, but maybe the fact that someone he never met is still entranced with his work half a century later would make him, like his robot, proud.